In late January of 2018, George traveled to Beijing, China to present to 2500 regulators and physicians. The China Health Industry Technology & China Microecological Health Conference hosted the gathering at the storied Beijing Hotel where heads of states have met throughout its history. IPA: What was the purpose of the conference? George: The Chinese government wishes to compile data on consumption habits, healthcare needs and hospital visits for millions of citizens in order to better understand the economics and benefits for probiotic usage in reducing health care costs. To that end, select participants from the Association of Traditional Chinese Medicine and The China Association of Health Promotion and Education will produce a white paper to serve as evidence indicating possible disease prevention and health care reductions from the consumption of probiotics. IPA: Which specific topics did you cover in your presentation? George: Initially, I presented an introduction to IPA, basically who we are and what we do–close to 100 member companies spanning 26 countries from 5 continents embodying over 1,400 scientists, researchers, academics and other stakeholders. IPA’s objectives and updated strategies were described. In the second part, I presented evidence that improving health makes sense economically. For example, costs including doctors’ visits, medications, and sick leave can be reduced depending on the society, health care system and family. The third section was an overview of the probiotic market including foods and supplement usage per global regions. And then I spoke of drivers in cost and savings as part of the bigger health economics picture. France and Canada were both used as my evidence-based models for cost-savings. Additionally I touched on specific cost-savings in different disease targets including colic, allergies and both antibiotic-associated and infectious diarrhea. IPA: Which sources of probiotics are most popular in China: foods or supplements? George: Research shows preference in China currently, like most of the world, is for yogurt and fermented products. But as digestive wellness continues to take on a bigger significance, Chinese are turning more to supplements. The drivers for the change are increased incomes, migration from rural to urban areas as well as an innate preference to emulate practices such as the high-supplement use in the United States. IPA: Where is China right now in the evolution of the probiotics market: research, manufacturing, consumer usage and regulation? George: Currently, the Ministry of Health in China is looking to see if there is a case to be made to turn on more funds for research. In addition to discussions on microecology (Chinese term for the microbiome), about 30% of the conversation at the conference was on traditional medicine. In manufacturing, there are many small producers but they are not exporting. Importers with published research have local offices: Danone and Lallemand are examples. As far as consumers go, they ferment most things: soy, vegetables, dairy and even eggs. With regulation in the probiotic supplement sector, many companies are striving to improve quality to reach levels required for export. IPA: Are foreign companies easily able to enter the market? George: The required registration with a specific claim (called Blue Hat) is expensive; in other words, there are high barriers to entry in the Chinese market. 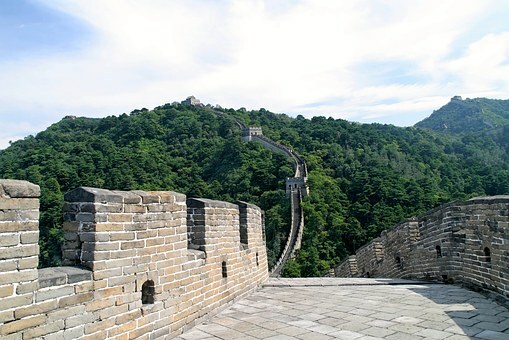 IPA: Other than a very long wall, what surprised you about your time in Beijing? George: It was my first time in Beijing. The infrastructure, outside of Forbidden Palace, looked like many large urban areas. I could have been in Sao Paulo, Brazil. If you remove the people and the signs, you don’t know you are in China. That said, the people are nice, bicycles are everywhere and the sky was blue. I was pleasantly surprised.